Happy Memorial Day, everyone! I hope you all had a relaxing long weekend. Thank you to all of those who have served or are currently serving. Today, I remember the selflessness of my grandfather and great-grandfathers who fought for our country. I am truly grateful for the sacrifices our armed forces make. I've always had a special place in my heart for navy blue. It goes with everything but isn't as harsh as black. I have so much of it in my closet! It has become a serious obsession. 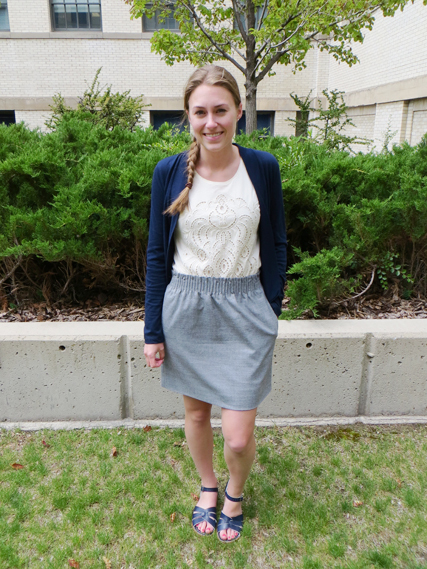 I put this outfit together last Friday; the sandals are a recent purchase, and I could not wait to wear them!